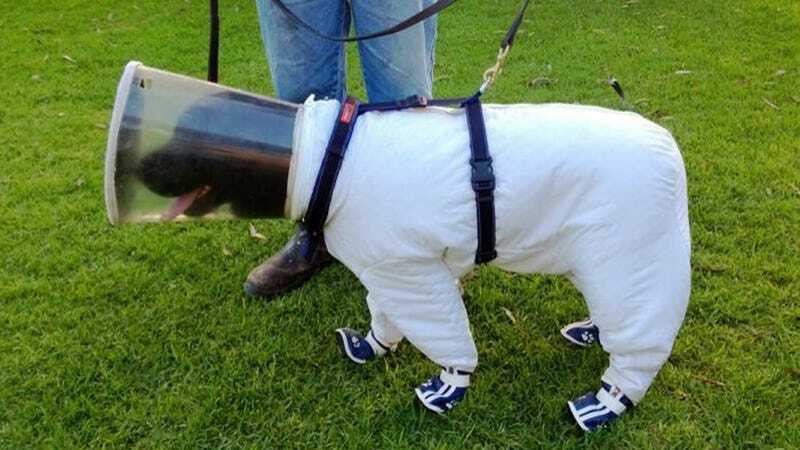 THERE IS SUCH A THING AS A DOG BEEKEEPER SUIT!!! If you're up on the beekeeping scene, you already know that dogs have been used to sniff out American foulbrood and other hive-minded disease for some time now, and that most of them don't use protective gear. But it's not that Bazz is a wimp; as Kennett explained to ABC Australia, dogs that do similar work in the USA are protected by cold weather that keeps the bees at bay.